What’s medicine and what’s just candy! Read on to find out. My own personal thought is many patients with vocal cord dysfunction (VCD) respond to vocal hydration which can occur while sucking on a cough drop/candy. Maybe we’ve been treating VCD all along with HALLs! Stranger things have happened. A Cultural and Historical Examination of the Cough Drop. Whether exhaled NO helps to identify a specific phenotype of asthmatic patients remains debated. Not everyone would agree with Dr. Boggs in this video–what do you think? In conclusion, FENO0.05 is independently linked to two pathophysiological characteristics of asthma (ICS-dependant inflammation and bronchomotor tone) but does not help to identify a clinically relevant phenotype of asthmatic children. Grandparents eager to hold the new baby in the family this holiday season should add vaccines to their shopping list. The whooping cough vaccine given to babies and toddlers loses much of its effectiveness after just three years, a lot faster than doctors believed, and that could help explain a recent series of outbreaks in the U.S. among children who are fully vaccinated. Anyone who comes into close contact with infants is now urged to get vaccinated against whooping cough, or pertussis. Getting the vaccine now will provide enough time for it to start working by Christmas weekend, but cost could be a barrier for many people. 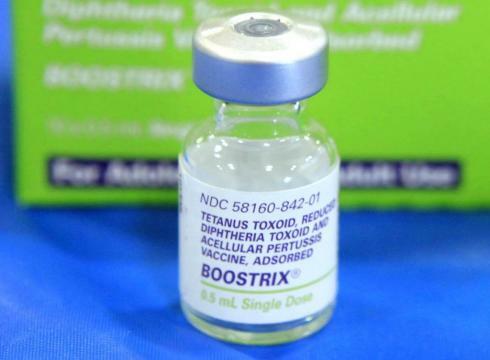 The recommendation for expanded vaccinations for whooping cough — even for those over 65 — is new from the American Academy of Pediatrics and the U.S. Centers for Disease Control and Prevention. It comes after a nationwide surge in whooping cough infections during 2010. How do you protect your babies against whooping cough? Many adults mistakenly believe they are protected against pertussis because they’ve had whooping cough before, while others walk around with the virus without realizing it, said Dr. Kelly Moore, who directs immunization programs for the Tennessee Department of Health. Also, the vaccine wears off over time, so a booster shot is needed about every 10 years. 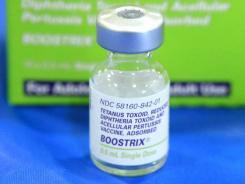 Doctors start vaccinating infants for pertussis at two months old, but protection requires booster shots. Children need five doses of the vaccine, and three of those occur before the age of 1. Another new recommendation from the CDC is that pregnant women get the shot after the 20th week of gestation if they have not been previously vaccinated. “The vast majority of pertussis cases are never diagnosed or confirmed,” Moore said, noting that it takes a more sophisticated lab test than a blood check to detect the bacterium. Protection is provided by the Tdap vaccine, available in your doctor’s office or at the local health department. Whooping cough is one of several winter illnesses that can cause serious complications for infants and people with compromised immune systems. While you’re getting the pertussis vaccine, get the flu shot while you’re already there! “The stoic family member who shows up sick at the family Christmas party is probably not doing anyone any favors,” Moore said. The full article from USA Today is found here!